Mayor Caldwell with cabinet members held a press conference announcing their support of the bills. 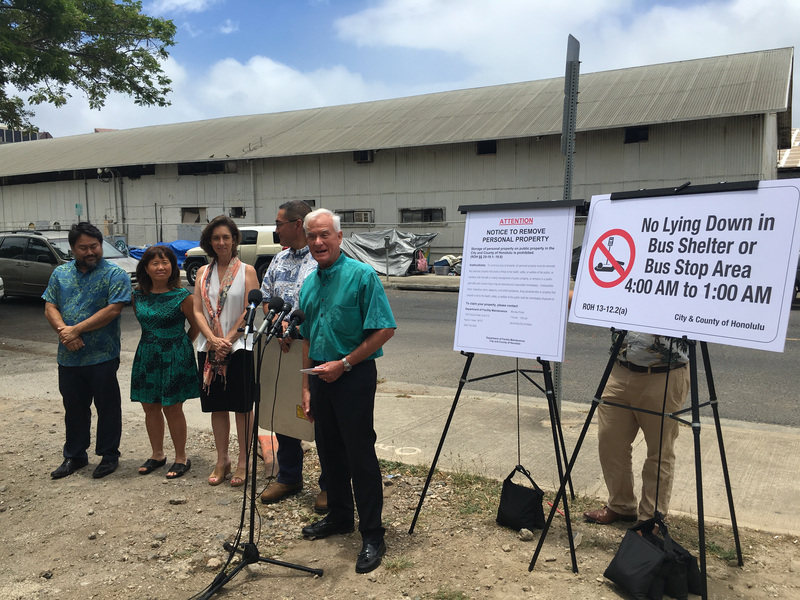 Honolulu Mayor Kirk Caldwell is backing a sidewalk bill and a public lodging bill that are being introduced on the administration’s behalf. The measures, if approved, would expand the sit-lie ban on Oʻahu to deal with homeless setting up camp on sidewalks. 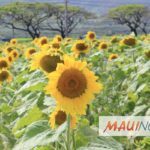 The sidewalk measure would outlaw obstructions on city sidewalks throughout the island of Oahu between the hours of 6 a.m. and 10 p.m. Violators would be fined $100 dollars or a judge may sentence them to community service. People waiting in line, attending a parade or festival, suffering medical emergencies, or conducting free speech activities, would be exempt. 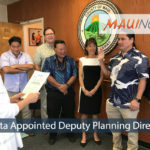 The public lodging measure would make it illegal to lodge on a public sidewalk or other public areas if shelter facilities are available. Police officers would not be able to make an arrest or issue a citation unless they have verified that shelter space is available, and have gone through a number of steps, including but not limited to, orally requesting the person to comply with their requests to move from a public area, and issuing a written warning. If the person refuses to be transported to an available shelter, the officer would allow at least one hour for the person to relocate to a non-public area. 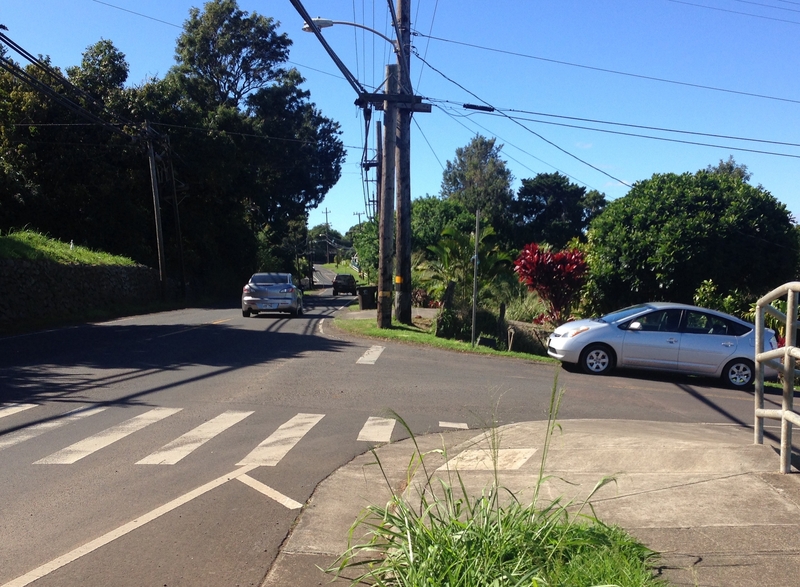 Ask the Mayor: When Will Makawao’s Students Get Some Sidewalks?